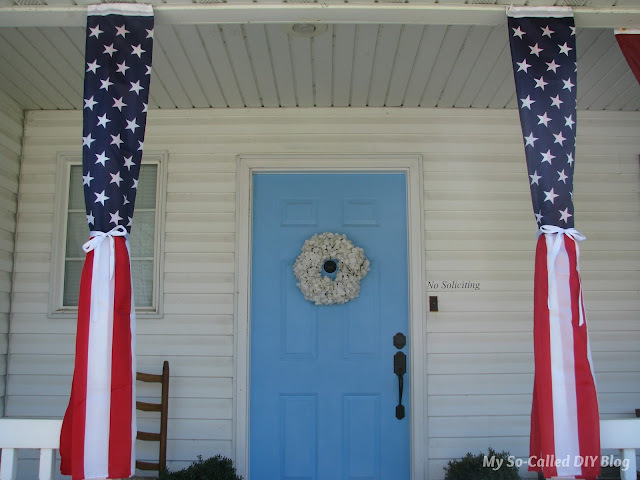 I finally got my 4th of July decor put up outside the house! 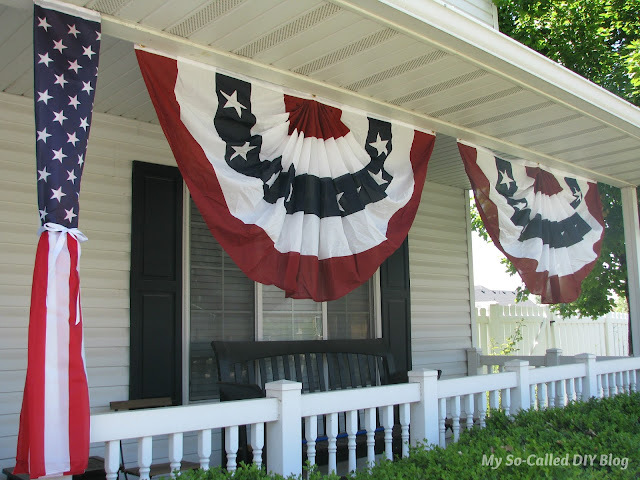 I love decorating outside for the month of July almost as much as I do for Halloween or Christmas. There's something so classic and Americana-y about bunting and stars. I got these two large buntings (affiliate link) from Amazon. Since my whole exterior is vinyl and metal, I used some plastic clips meant for hanging Christmas lights, so I wouldn't need to make any holes. I folded two American flags (affiliate link) and used safety pins and ribbon to hold them in place along the entry posts. I also used Christmas light clips to hold these, as well. 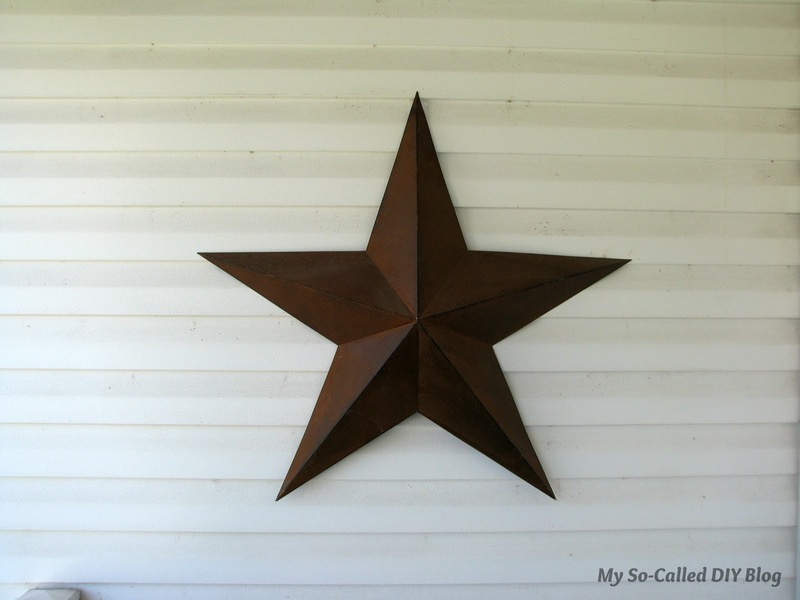 I love barn stars and used one of these Vinyl Siding Hooks (affiliate link) off Amazon to hang this. My boys enjoyed helping my put these flag picks from Hobby Lobby in the flower bed. 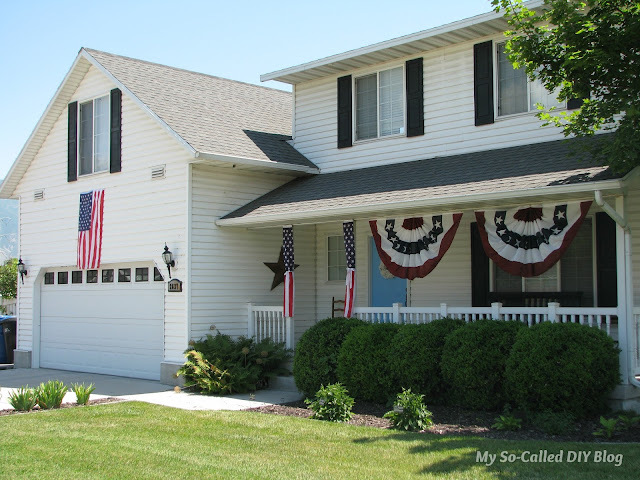 I used a third American flag to hang above my garage. Last year I tried using three metal paper clips and slipping part of the clips into the siding. But, the wind kept blowing the sides off (although the middle one always stayed put). Then, I decided to use two of the vinyl siding hook clips like I used to hang the barn star. 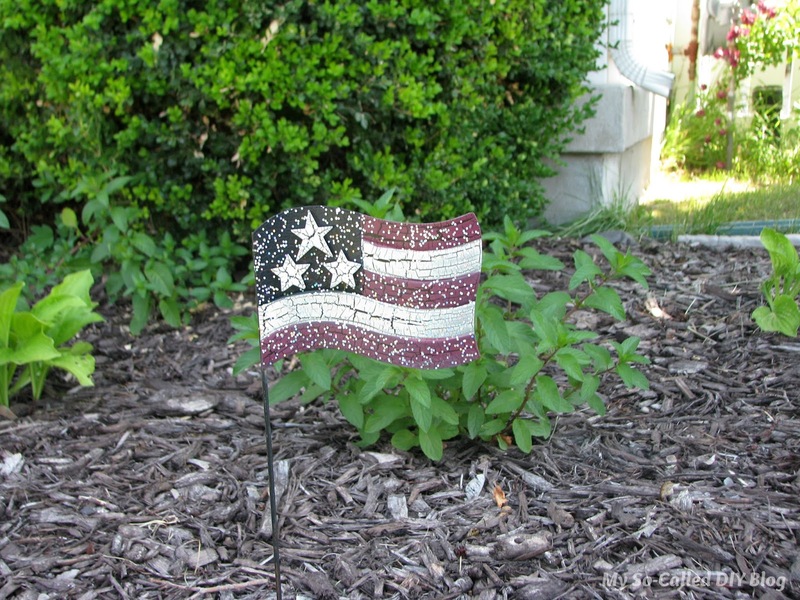 They stayed well in the vinyl and then I used a Christmas light clip to hold the flag onto the hook. I still used a metal paper clip in the middle to help me center it under the window. For next year, I'm thinking about hanging some scrap wood stars from the pine tree. Also, I'd like to incorporate a maple leaf somewhere in honor of my Canadian husband and Canada Day. Amazing! Your house is super cute! 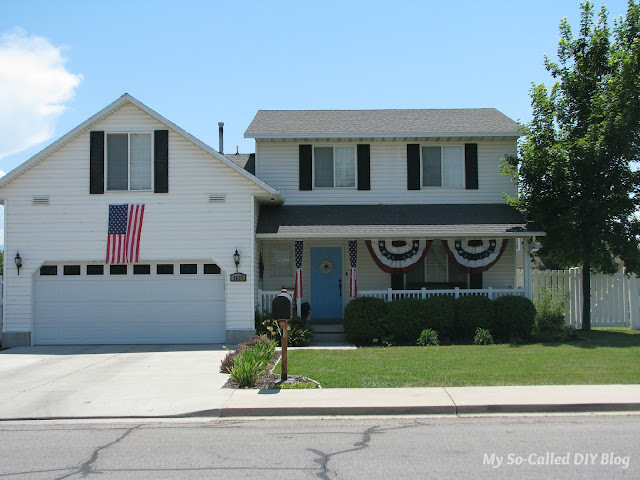 Your house looks perfect for the 4th! Wow! Everything looks great and I love the wreath. 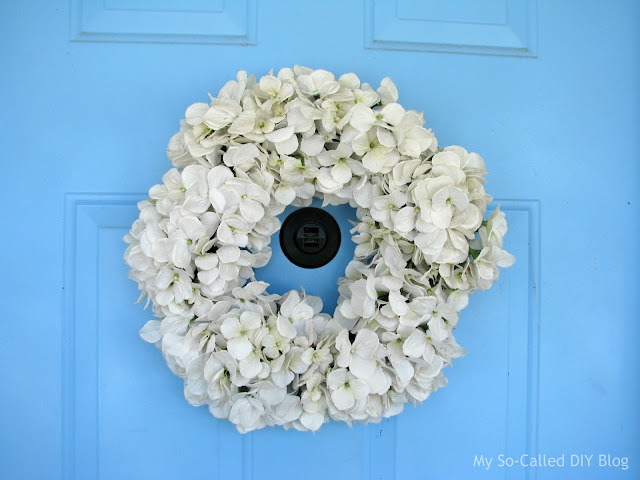 Thanks so much for sharing with us at the Merry Monday link party! Hope you'll link up with us again next week. Sharing your post on Twitter! I love it, it looks so patriotic. You are so creative and a terrific decorator.